Transfer from Victoria Falls Airport to The Victoria Falls Hotel where you step back in time. Situated perfectly in the fabulous Victoria Falls National Park, a world heritage site, we offer easy access to the breathtaking Falls. World-class service, culinary delights and incredible views make our hotel a magnet for international visitors and locals alike. You can dine and dance in the Livingstone Room, savor our famous breakfast and buffet and ethnic entertainment at the Jungle Junction and sip cocktails on Stanley’s Terrace. The Terrace has been a rendezvous for adventurers for over a century. Our 161 gracious Edwardian-style guest rooms include standard and deluxe rooms, honeymoon deluxe suites and executive suites, as well as the glamorous Royal and Livingstone Suites. You will be collected from The Victoria Falls Hotel and taken on a Ra-Ikane Sunset cruise, including drinks and snacks. The Ra-Ikane, named after the guide who led David Livingstone to the Victoria Falls, was hand-built to resemble a turn-of-the-century riverboat, and is luxuriously finished with teak superstructure, brass fittings, a carpeted deck and club chairs and tables giving guests a taste of Victorian splendor in the heart of Africa. On arrival, you are welcomed with a cocktail and served tea and cakes whilst given a safety talk and a brief history of the river. The cruise takes you through a scenically beautiful area of the Zambezi. Large animals such as elephant, hippo and crocodiles are frequently seen, as well as a wide diversity of other game and bird life. Being a mono hull, the boat has a low profile in the water and you are comfortably seated closer to the water line than on the conventional pontoon cruise boats. The boat is staffed with a captain, guide, hostess and waiter to ensure that all your needs are met. A flat deck allows for plenty of room to get up and move around during the cruise and maximize the experience. 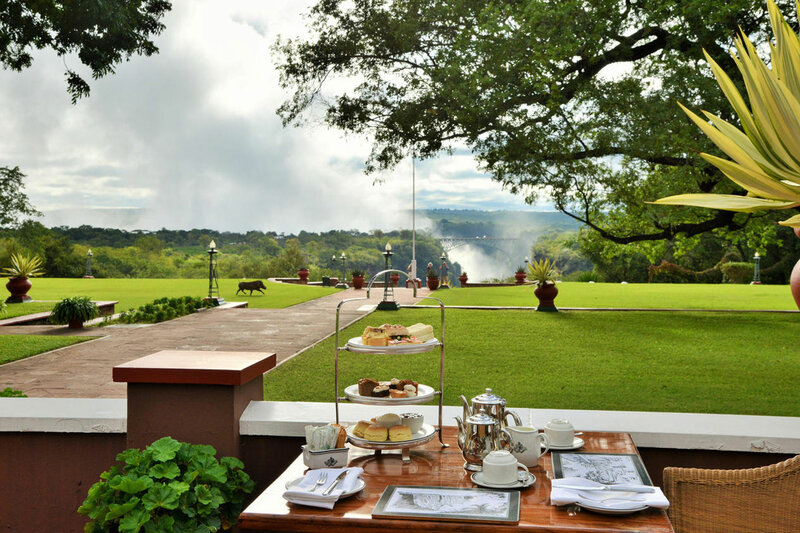 You will be collected from The Victoria Falls Hotel and taken on a scheduled tour of the Falls. Explore the rainforests of the Victoria Falls with its abundance of birdlife. Learn about the geographical formation of the Falls and amble along the scenic pathway, stopping at spectacular vantage points along the way. The Victoria Falls is one of the seven natural wonders of the world. David Livingstone was the first European to visit the Falls, and named it after Queen Victoria. To the locals, it is known as “Mosi-oa-Tunya” – The Smoke that Thunders – an accurate description of what happens when the waters of the Zambezi River plunge over the 1700 meter wide and 100-meter deep chasm, creating a shower of spray and a deafening noise. From February to May each year, the Victoria Falls are in full flood and 500 million liters of water tumble over the edge into a series of gorges each minute! After a briefing and explanation of the Falls, your guide accompanies you along the 1.7 kilometer scenic pathways of the rainforest, stopping at numerous viewpoints to gaze at the Falls. After you tour, you will be transferred to the Victoria Falls Airport for your flight to the Davison’s Airstrip for Davison’s Camp. Within Zimbabwe’s premier wildlife destination and conservation area lies the beautifully positioned Davison’s Camp. As one of the few camps located within the Park boundaries, Davison’s will offer you complete privacy, as well as a compelling mix of diverse wildlife. 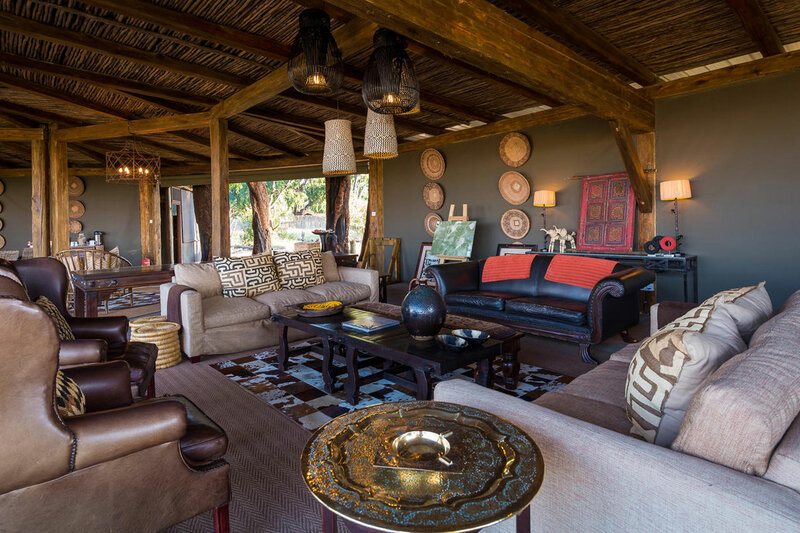 The camp’s nine en-suite tents are hidden in the shade of false mopane trees and from the comfort of your veranda you will be able to watch the continuous procession of game at the waterhole. In between activities, while the hours away in our main area as you observe the thriving life around camp and contemplate the splendor of Hwange. The park is predominately Kalahari sandveld supporting teak and mopane woodlands, dry acacia scrub and is interspersed with saltpans and grasslands. Guided walks may also be arranged on request. You will typically see elephant, buffalo, sable, roan, southern giraffe, blue wildebeest, impala and sometimes even gemsbok. Lion, leopard, wild dog and cheetah are regularly sighted. Birdlife is prolific with more than 400 species found here. Today we depart from the Davison Airstrip and fly to Ruckomechi Camp. 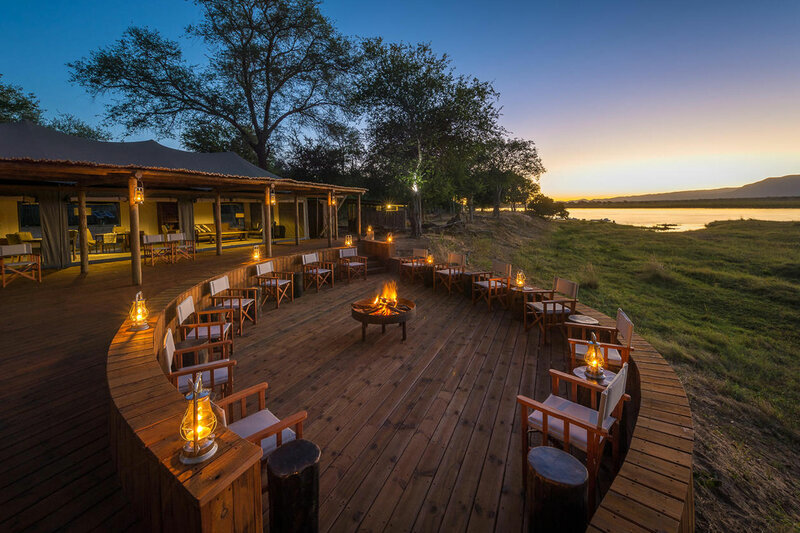 Set on the banks of the dominating Zambezi River brimming with hippo, the biodiversity surrounding Ruckomechi Camp is a naturalist’s paradise. A large grove of acacia and mahogany trees with a fabulous mountainous backdrop across in Zambia sets the scene, while large numbers of elephant, buffalo and eland create the excitement. With these stunning views also evident from your spacious en-suite tent, you will be smitten with the secluded outdoor ‘bath-with-a-view’. Low-level walkways connect the 10 guest tents to the beautifully designed central dining, bar, library and lounge areas. For your comfort we also have a separate deck with an infinity pool for swimming and sunbathing, and an inviting, cushion-strewn star-gazing deck. The area is famous for its four main pools which hold water all year round drawing all manner of wildlife during the dry season. Your activities include game drives (day and night), guided walks (on request), boating, canoeing and fishing. Predators such as lions, leopard, wild dog and cheetah are often seen. Over 350 birds have been recorded including Collared Palm-Thrush, Purple-banded Sunbird and Black-throated Wattle-Eye. Depart from Ruckomechi Airstrip and arrive at Harare Airport.